BikeTexas works because Texans get involved. Whether it’s traveling to Austin to testify in a Senate or House committee hearing, visiting your school board and advocating for inclusion of the Texas SuperCyclist Curriculum in your child’s school, or passing along our BikeTexas Update eNewsletter or other communications to friends you think should support our work, BikeTexas needs your help to build a better state of bicycling for all Texans. BikeTexas Safe Routes to School is establishing a national model for statewide bicycle safety education. BikeTexas needs volunteers in North and West Texas to ensure that our BikeTexas Safe Routes to School Encouragement and Evaluation components of the program are successful. 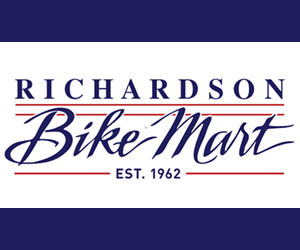 You can help ensure that Texas children are receiving the best bicycle education possible, and help demonstrate that bicycle safety education should be available for children across the US. More information about the BikeTexas Safe Routes to School Program can be found here. Help us spread the word about bicycle safety education in Texas. Tell every teacher you know about the Texas SuperCyclist Curriculum and Teacher Certification Training available to them, speak to your PTA and school board, volunteer to assist teachers in implementing the curriculum. BikeTexas works with dozens of trainers across the state to instruct educators in teaching the Texas SuperCyclist Curriculum. You too can help teach teachers bicycle safety with certification by the BikeTexas Education Fund. Build the future of mountain biking by volunteering to help out with the BikeTexas Kids Kup Program. We need leaders to help these events run smoothly and encourge the young racers to progress to the next level of the sport. Learn more about how you can make an impact on the next generation of off-road bicyclists. 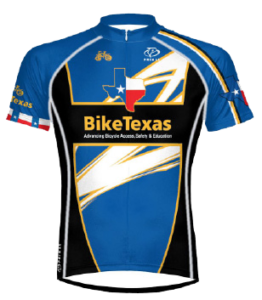 Write your local, state and federal legislators, informing them that you support the efforts of BikeTexas and the pro-bike legislation advocated by this organization. More information about contacting your legislators can be found here. Attend advocacy events like BikeTexas Cyclists in Suits, League of American Bicyclists National Bike Summit, and International Mountain Bike Association 24 Hours of IMBA. Meet with other bicycle advocates and increase the impact of your legislative visit exponentially. Provide BikeTexas with your email address and we’ll send you Action Alerts when we urgently need you to contact your legislators or submitt testimony for Committee hearings. Create a Username, and we’ll add you to our email list. Spread the word about us. Tell your friends about BikeTexas.org and our programs. Encourage them to purchase a Share the Road, God Bless Texas or God Bless America license plate and advocate for cyclists’ rights while driving.